No morning miles. No Crossfit. Just a TLC type of day. Actually more like a ‘repair me’ type day. When I was preparing for my Crossfit competition back in the beginning of November, I was super nervous about not being able to do kipping pull-ups. SO what did this smarty pants over here do….I cranked out a ton of pulls up and kips all in a couple days, HOPING that such dedication would land me some solid pull ups. Not exactly. What I thought was just sore muscles ended up being a bit of a strain. I ended up having to supplement other movements into the WODS to replace the push-presses and other movements that hurt my lat. Between sore legs muscles from 3 half marathons and a Cross Fit competition all within 5 weeks, it was ‘painfully’ obvious that last week needed to be a complete rest week. I DID experiment with Hot Yoga in that rest week, which I ended up loving. Just another activity to add to my schedule. My lat has been feeling MUCH better but I still scheduled a doctors appointment just to be sure everything was okay. After a lovely doctors appointment filled with a laundry list of stretches and strength movements I need to do 3 times a day… Because we all have time to casually crank of resistance band strength training periodically throughout the work day, right?! ..I had to head over to my chiropractor to get my periodic back cracking/alignment. I won’t even attempt to use medical terms but all I know is that it feels amazing and it always makes me feel loose from my shoulders to my legs. All in all, today was full of repairs but I am thankful that I am healthy and everything is fine. Just a bit over-worked this month. December will be much less race-filled and much more listening to my body…oh and chilly. 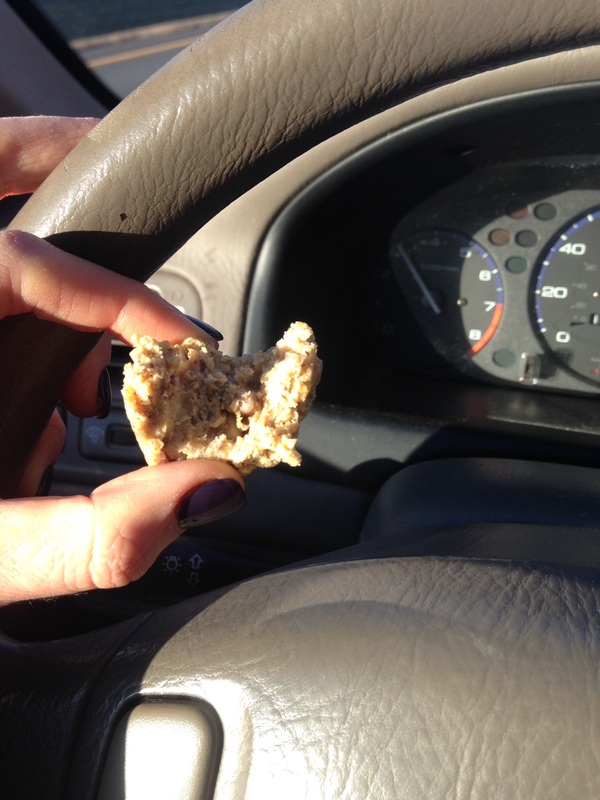 This much running around after work calls for the classy, ‘snack while driving‘ thing. 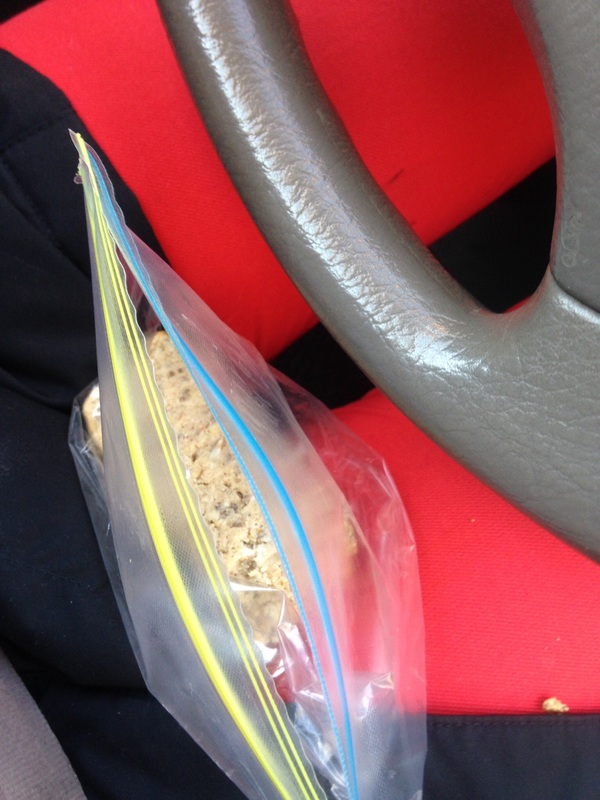 Thankfully, my slice of @STUFTMama no-grain seedy bread is filling, healthy and managebale to pack and eat on the go! I had the idea of Hot Yoga tonight but it just didn’t want to happen so I took an unexpected rest day and called it a night. 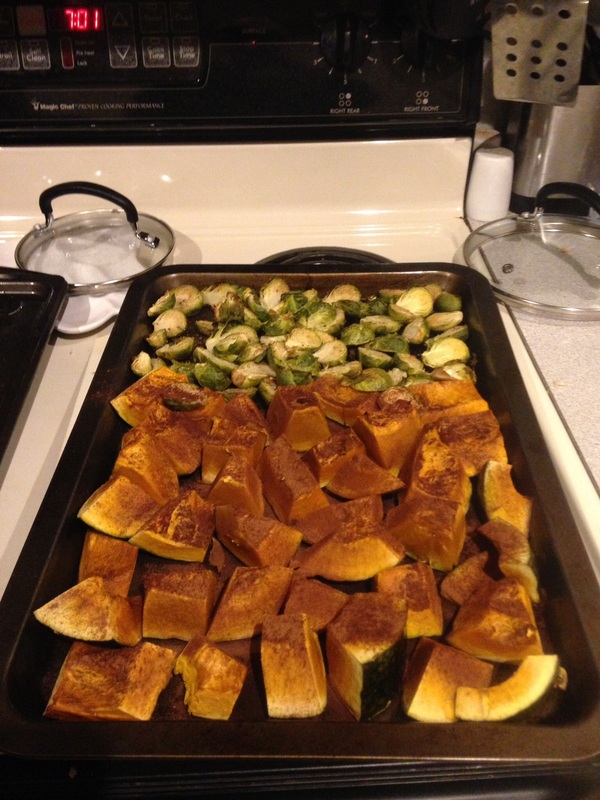 Baked cinnamon roasted kabocha squash, baked Brussel sprouts, and chicken. My idea of an all-around perfect meal. Oven roasted Brussel sprouts seasoned with Mrs. Dash Salt Free Garlic and Herb seasoning is my absolute favorite vegetable side..and cinnamon roasted squash always makes dinner exponentially better. Well. Now that that has been cooked and a sadly, small, scraps-at-the-end-of-the container Arctic Zero sundae has been consumed. I can successfully call it a night! Time to be lazy, watch awesomely funny reality shows and pass out embarrassingly early because thats how weeknights SHOULD be. Do you go to a chiropractor? How has it helped? Ever tried Hot Yoga? If not, you should! 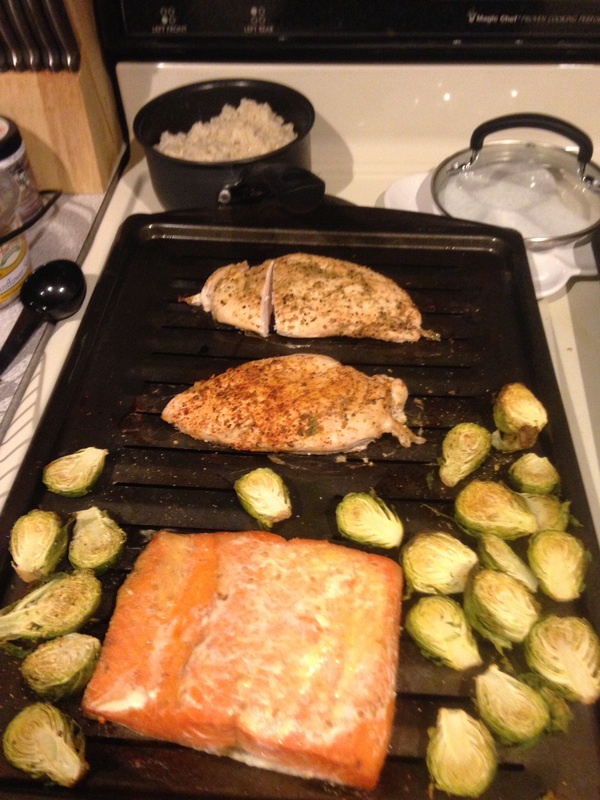 Whats your favorite vegetable side at dinner?